When I moved to Colorado in 2002, Denver Union Station was a dilapidated transportation hub that was a shell of its former glory (can you believe the original chandeliers were eight feet long?) Two years later, it was designated a City of Denver landmark and five years after that, an $800 million redevelopment was announced to redevelop and preserve its history. Denver Union Station will officially launch the holiday season on Friday, Nov. 23rd with Denver’s grandest Grand Illumination celebration yet. 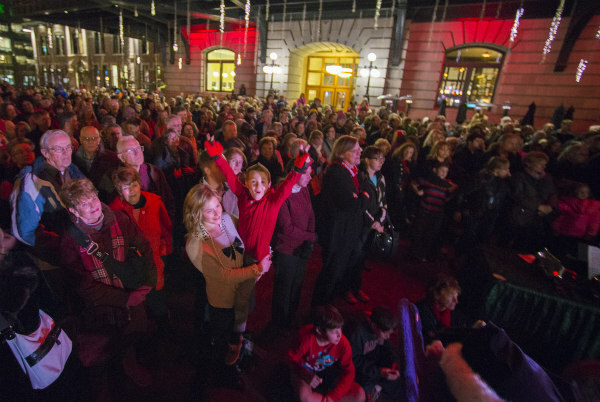 Held from 4 p.m. – 8 p.m., this festive annual Grand Illumination event will feature a performance of classic holiday hits by the Denver Dolls, a visit from Santa & Mrs. Claus, Christmas carolers and more. The highlight of the evening will be the lighting of the landmark train station’s NEW outdoor Christmas tree, a 40-foot-tall tree that will feature more than 7,000 holiday lights. 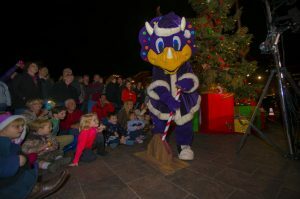 The tree will officially be lit by Dinger, the beloved mascot of the Colorado Rockies. Milkbox Ice Creamery will be serving a Hot Chocolate Bar featuring an amazing selection of holiday flavored chocolate creations with extensive toppings. Pigtrain Coffee will be offering a Spiked Coffee Beverage Bar featuring Irish Coffee’s, Hot Tea Toddy’s and spiked ciders. The man in red and his beloved wife will be spreading holiday cheer on Sunday Nov. 25th, Dec. 2nd, Dec. 9th, Dec. 16th and Dec. 23rd from 10 a.m. – 4 p.m.
What is better than Santa? Santa + ice cream! This make-your-own-Sundae Bar includes a variety of sauces & toppings on Sunday afternoons from 2-4 p.m. for $5 per person. Or dine & then shop, you decide! Gastronomic choices include Mercantile Dining & Provision, a 5,000-square-foot European-style restaurant and market, Stoic & Genuine’s iconic fish house, Snooze, an A.M. Eatery (and Denver breakfast hotpot), Milkbox Ice Creamery with wildly popular ice cream from Little Man Ice Cream, and family-family favorites are ACME Delicatessen and Next Door Community Pub. While kids hang out in the Great Hall, Mom and Dad can grab a Colorado brew from the Terminal Bar. For shopping, the Tattered Cover carries books for all ages and five green boxes carries an eclectic mix of unexpected souvenirs, cards, wearable and artsy gifts and one-of-a-kind furniture. 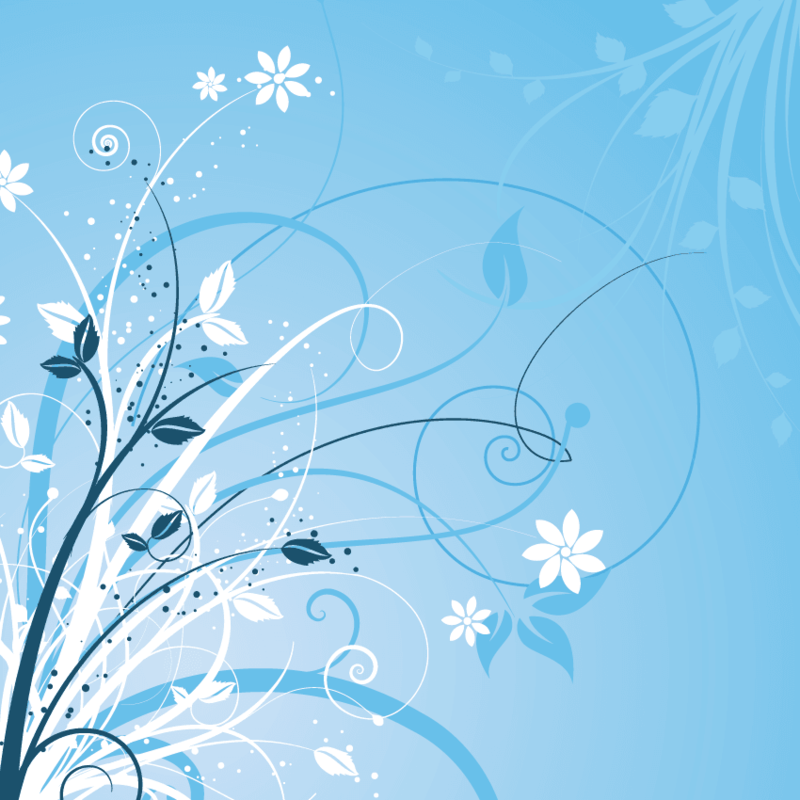 Top it all off with a fresh bouquet of flowers from Bloom. 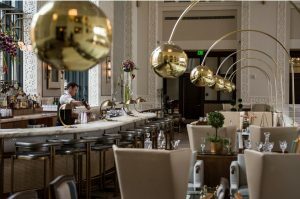 Fun fact: Each of the Crawford Hotel at Denver Union Station’s three hotel floors represents a different era of Denver Union Station’s history. 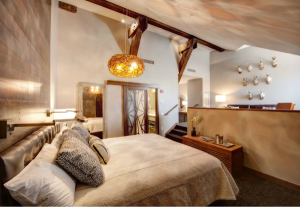 From the Pullman Room with its train car design and art deco theme, to the Classic Room with a Victorian feel and 14-foot ceilings, to the Loft Rooms with original wooden beams, brick accents, and dormer windows, no two rooms at The Crawford are alike. The hotel offers a number of complimentary amenities and the one scoop of free ice cream per guest per day at Milkbox is a family favorite! Crawford Hotel guests can also enjoy priority seating at Snooze, which allows them to skip the line – or you can order Snooze breakfast from Room Service. For more information about Denver Union Station holiday events, please visit www.unionstationindenver.com.